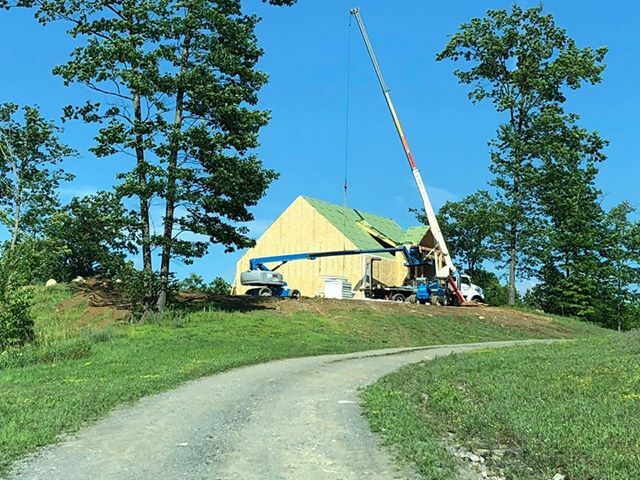 Good Day, We have been extremely busy this spring. 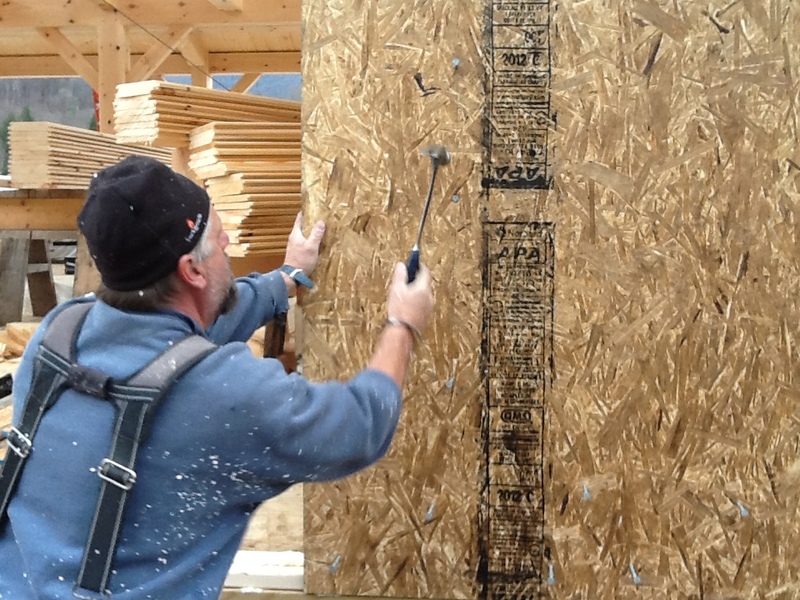 The guys are loading two trucks today that will be shipping our panels to Virginia. 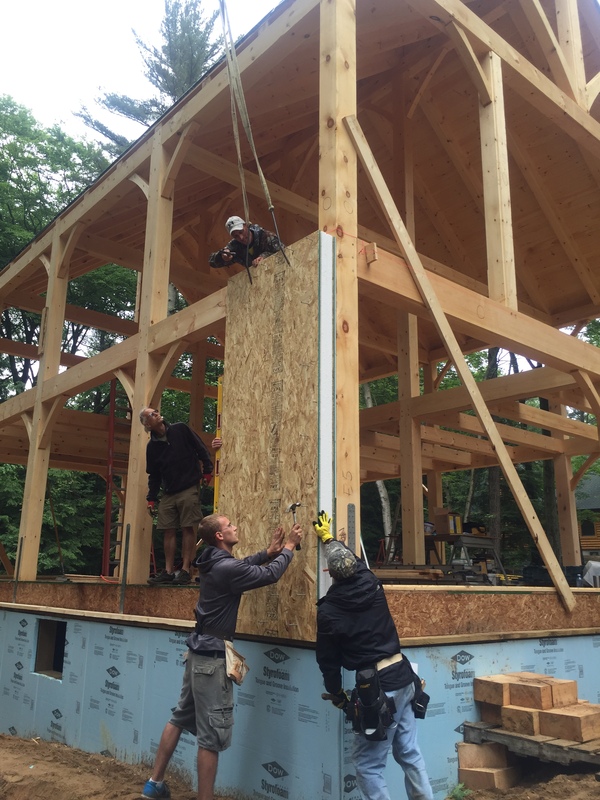 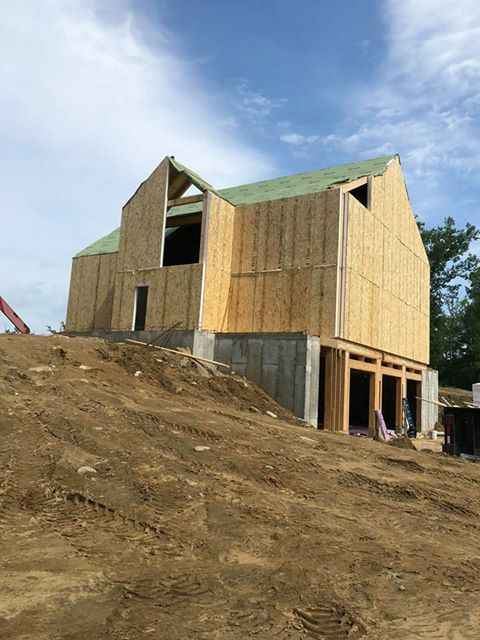 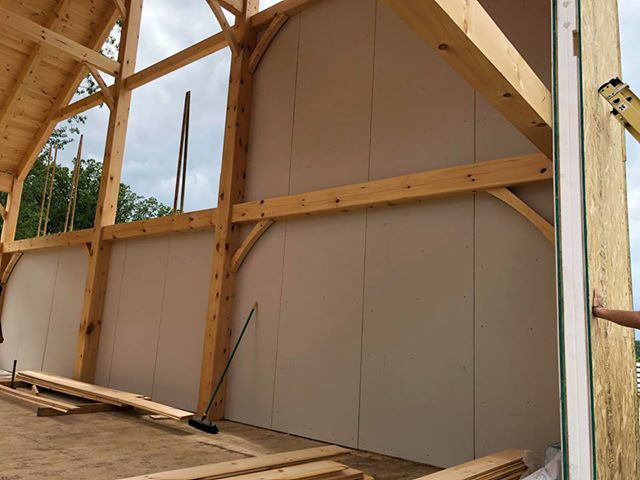 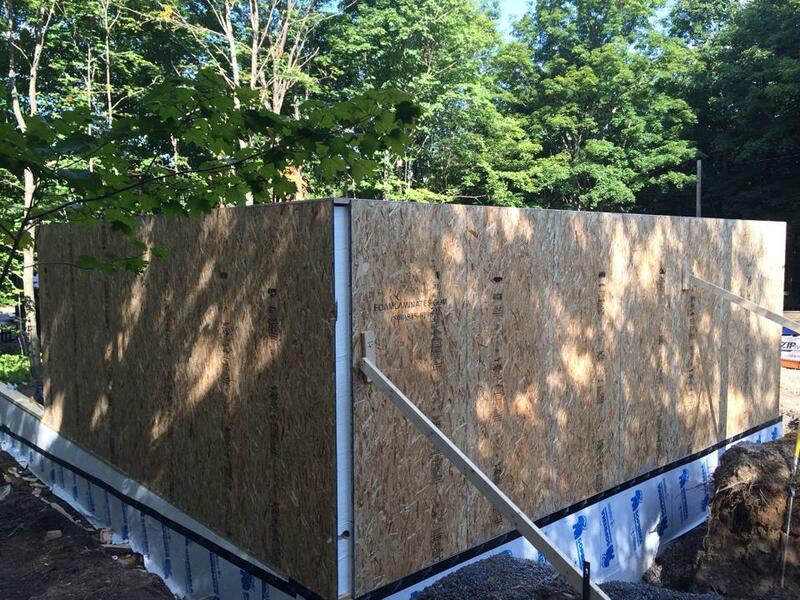 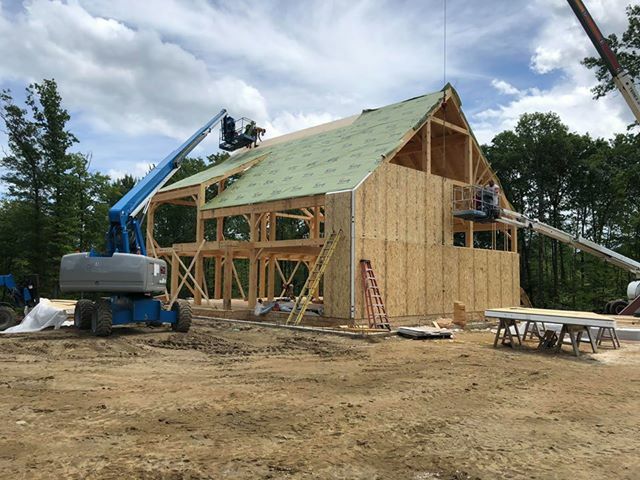 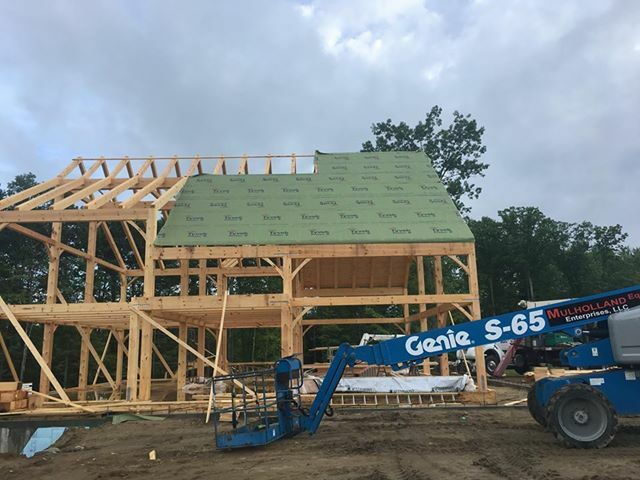 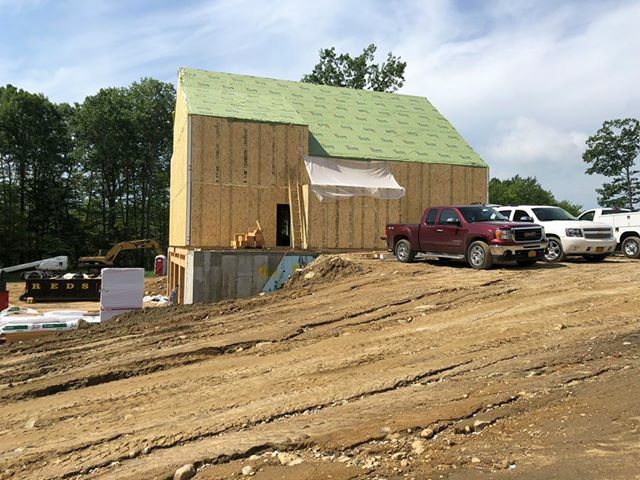 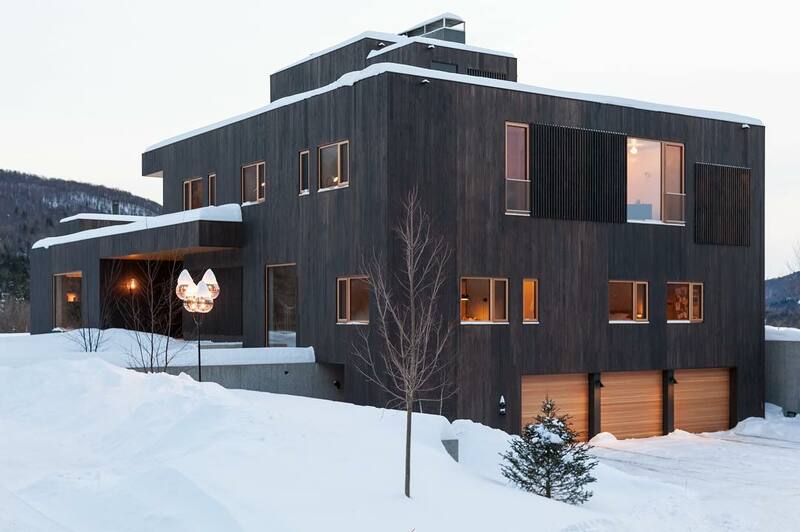 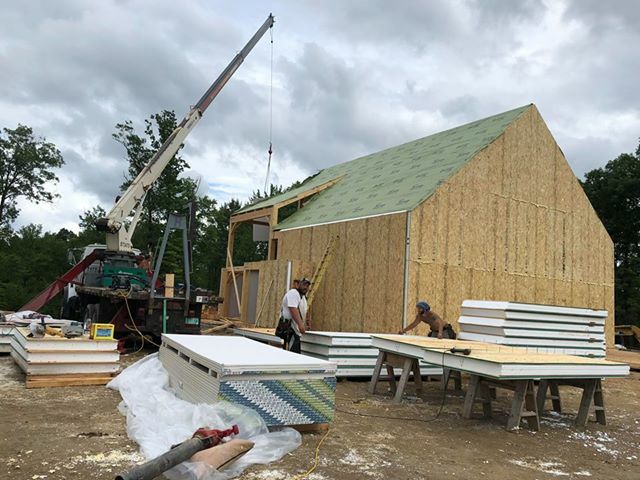 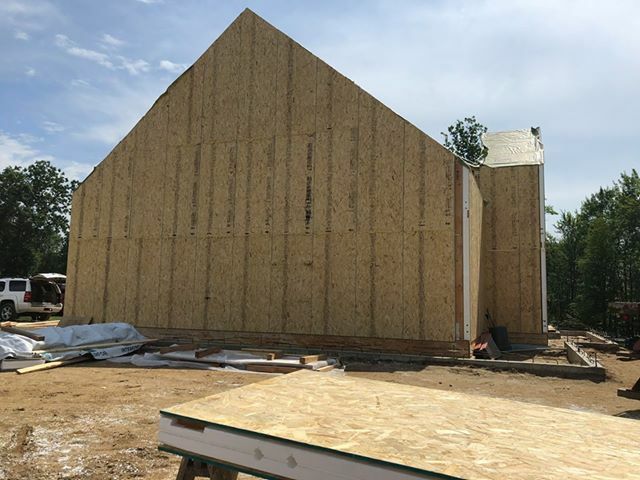 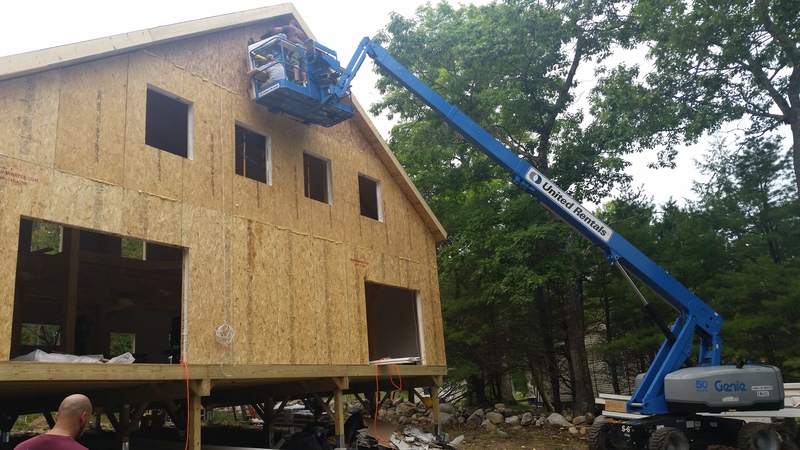 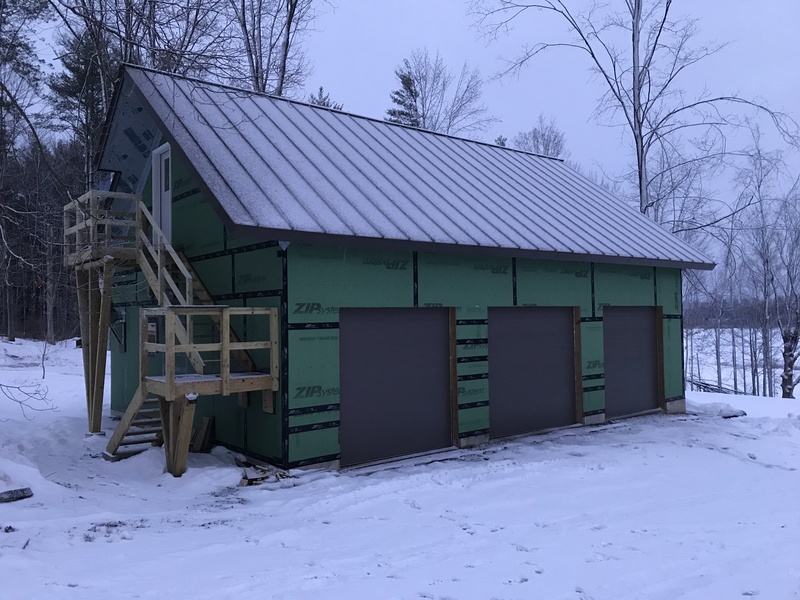 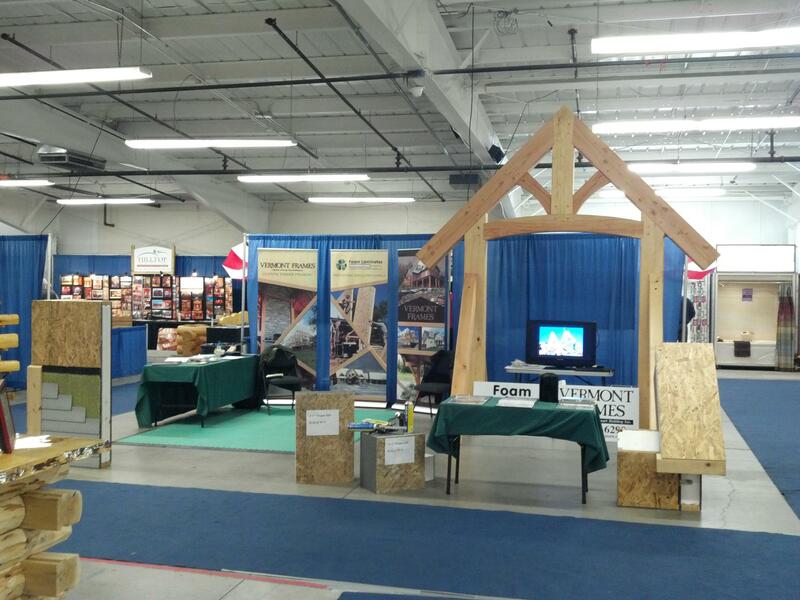 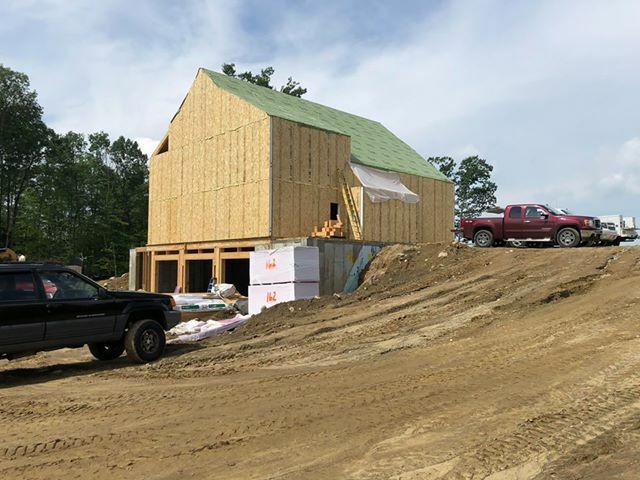 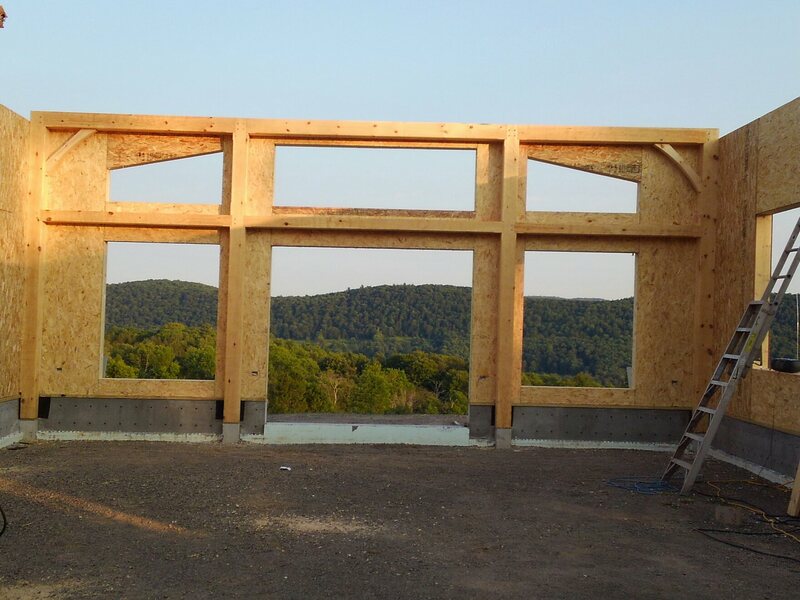 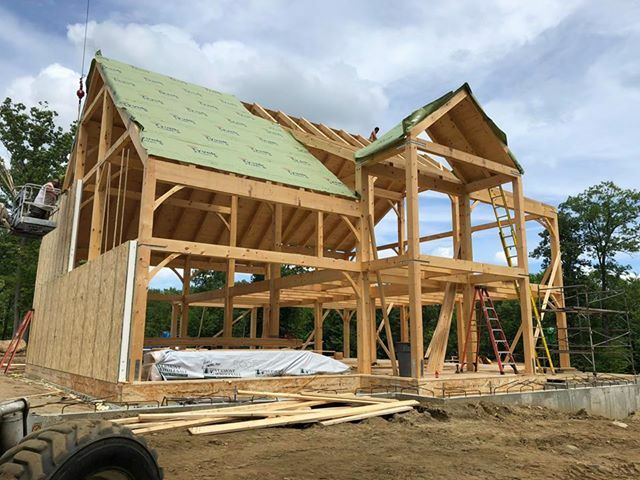 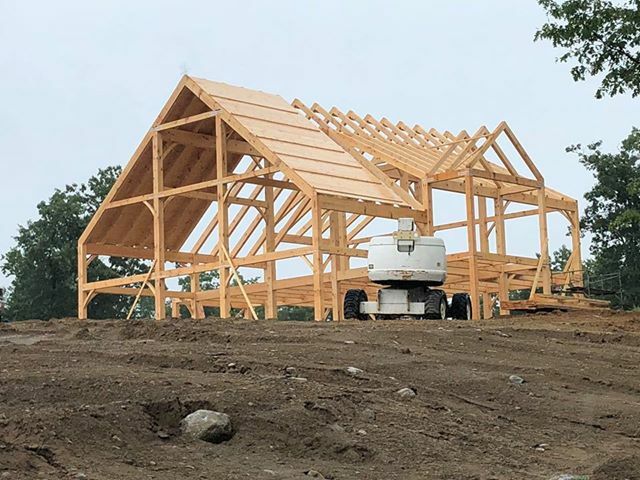 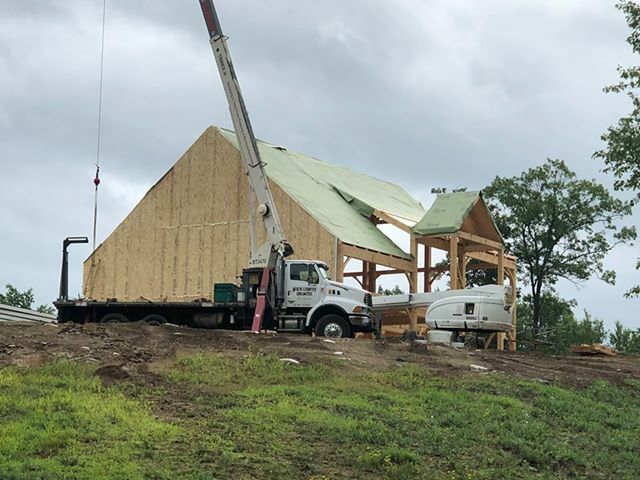 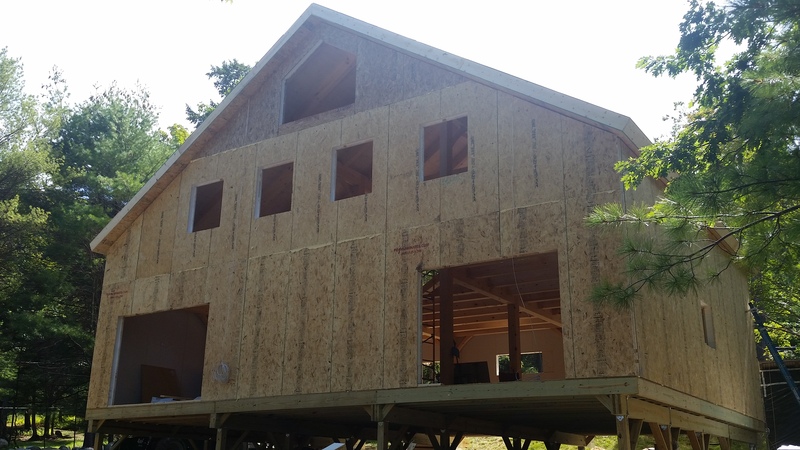 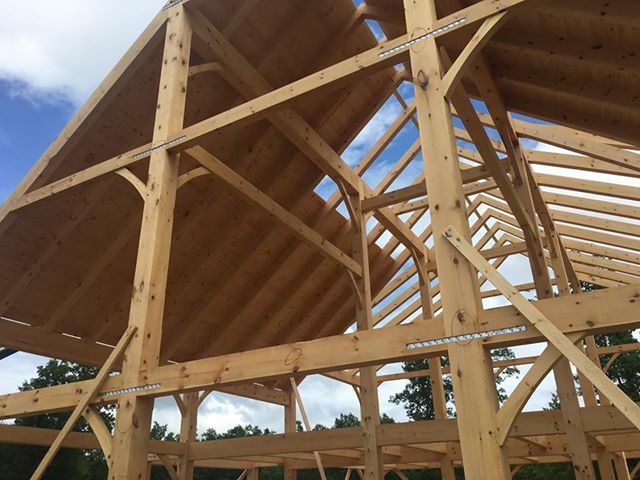 We have a crew installing SIPs over a timber frame in Grand Isle, VT this week….